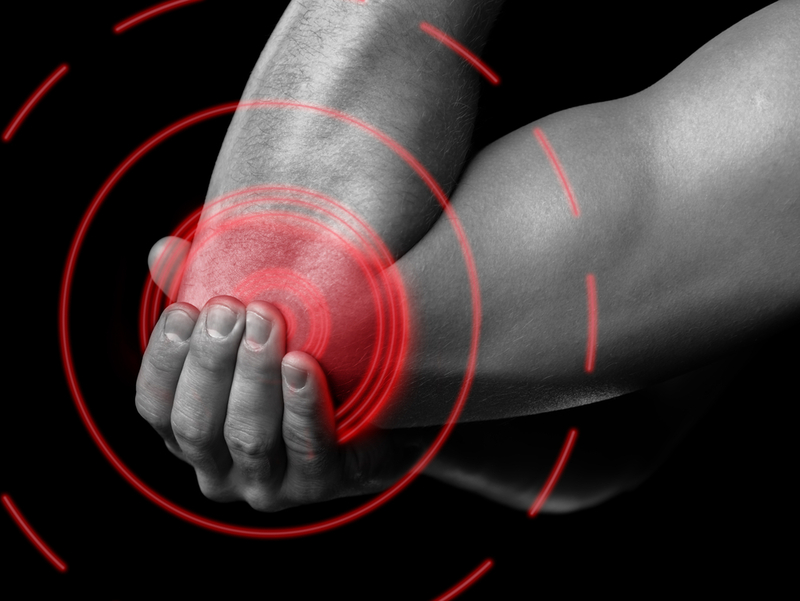 Elbow pain is mainly caused by overuse injury. Two common elbow complaints are ‘tennis elbow’ (lateral epicondylitis) and ‘golfers elbow’ (medial epicondylitis). 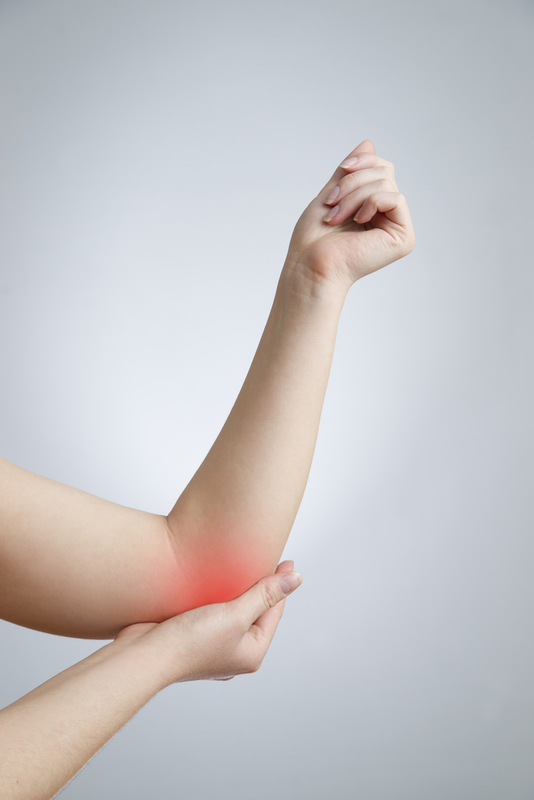 Elbow pain that originates on the outside aspect is commonly known as Tennis elbow. It is caused by overuse of the forearm muscles involved in gripping, extending the wrist and extending the elbow (the backhand motion in tennis). Extensor tendinopathy is a common injury associated with activities requiring repetitive use of the wrist and hand. These tendons transmit forces produced to their origin from the arm bone. Repetitive use of the forearm muscles and tendons can lead to microscopic tears within the tendons and degeneration or breakdown of the tendons. The overload causes a disruption to the collagen tissue of the tendon. How does tennis elbow feel? Elbow Pain on the outside of the elbow, possibly radiating down the forearm to the wrist. Elbow Pain with lifting or bending the arm, gripping or activities such as lifting a cup, opening a door or turning a tap. If you have or suspect you have tennis elbow, you should consult your nearest physiotherapist. In the meantime, you can begin initial treatment. This should consist of icing following activity and regular gentle stretching of the forearm muscles. You should stop or modify your activities if the pain is aggravated by them. The sports medicine professional will be able to determine an appropriate treatment plan. This may involve activity modification, soft tissue treatment such as massage and stretching, and the progression through a series of specific strengthening exercises. The physiotherapist will also be able to assess and determine why you developed extensor tendinopathy and address this during your recovery to prevent a re-occurrence when you return to full activity. Elbow pain that originates on the inside aspect is commonly known as ‘golfers’ elbow. Essentially, golfer’s elbow is similar to tennis elbow except that it is affecting the opposite muscle group .i.e wrist flexors. It is caused by overuse of the forearm muscles involved in gripping, flexing the wrist and flexing the elbow (golf swing). As with tennis elbow, the tendon which attaches the muscles to the bone is damaged and can develop micro-tears. Because there is a poor blood supply to this area, it can take a long time to heal. Causes can include overuse in sports such as tennis, golf, and other activities including gardening, painting, computer and mouse use and lifting and carrying. How does golfers elbow feel? Elbow Pain on the inside of the elbow, possibly radiating down the forearm to the wrist. Physiotherapy treatment may include ice and techniques to decrease pain and swelling, soft tissue mobilisation to the forearm muscles, strengthening exercises (particularly eccentric exercises) to stimulate healing and promote recovery. Other physiotherapy techniques such as, taping, acupuncture, stretching, ultrasound and nerve stretches may also be required. An elbow strap for tennis/golfers elbow can be very helpful to offload the tendon attachment and allow healing to occur.